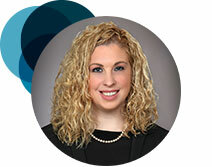 Lauren Bellerjeau is a member of the firm’s corporate practice. She advises on corporate, securities, and finance matters, with a particular focus on U.S. and cross-border mergers and acquisitions, internal restructuring, joint ventures, complex commercial transactions, and general corporate governance matters. She has been particularly active representing REIT issuers in complex formation transactions in connection with initial public offerings. She has represented clients in a variety of industries, including real estate, REIT, industrial and consumer goods, aerospace, government contracting, technology, life sciences, financial services, and manufacturing. What do you like best about your work? 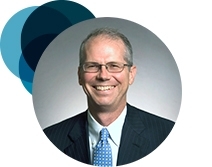 My practice focuses on mergers and acquisitions and complex commercial and asset restructuring transactions. Therefore, I almost always have the opportunity to counsel clients on strategic transactions during a very exciting, and often transformative, time in their business journeys. Working together with my client, my colleagues, and other advisors to get the deal done and push my client’s business to the next stage is very rewarding for me. What do you enjoy doing in your free time? I love to travel, particularly to historic or exotic destinations. If I hadn’t become a lawyer, I most likely would have become a historian or an archaeologist. My most exotic trip was to the Angkor Wat complex in Siem Reap, Cambodia. I also enjoy spending time with my husband, 3-year-old and newborn daughters , and dog (who is named “Indiana” after the final scene of Indiana Jones and the Last Crusade). What’s been the key to your success? I attribute my success to staying organized and engaged and sometimes taking things personally. Given the nature of my work, I assist my clients with transactions that they have often worked for years to complete. I owe it to my clients to be as devoted to reaching the finish line as they are.